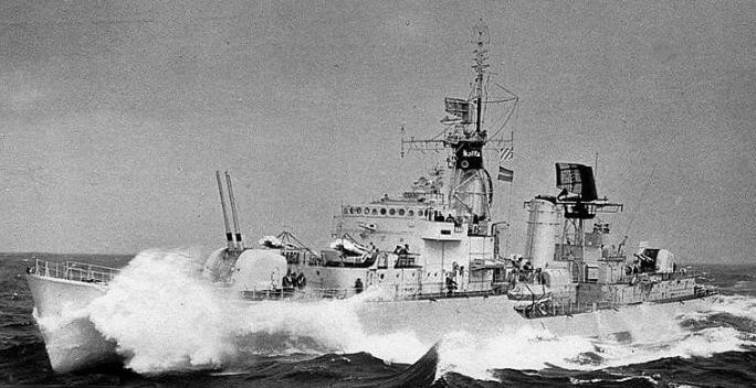 The Holland class destroyers were built for the Royal Netherlands Navy in the 1950s. They were the first major ships designed and built by the Dutch after World War 2. In contrast to previous Dutch Navy practice the ships were named after provinces rather than Admirals. These ships were unusual as they were the first destroyers built without large calibre anti ship torpedoes. The machinery was ordered before the war for the Gerard Callenburgh class destroyers and hidden during the German occupation. The main armament was supplied by Bofors.